It can be tough to approximate the color scales often used to plot variables such as RADAR reflectivity or infrared satellite. This script makes sets the color scales up for a lot of these common settings. Update Notes: These new scales help approximate new color scales often encountered. The visible satellite follows the scaled used by NOAA, when using this scale to plot visible imagery from CLASS, be sure to divide the CLASS data by 175/180. 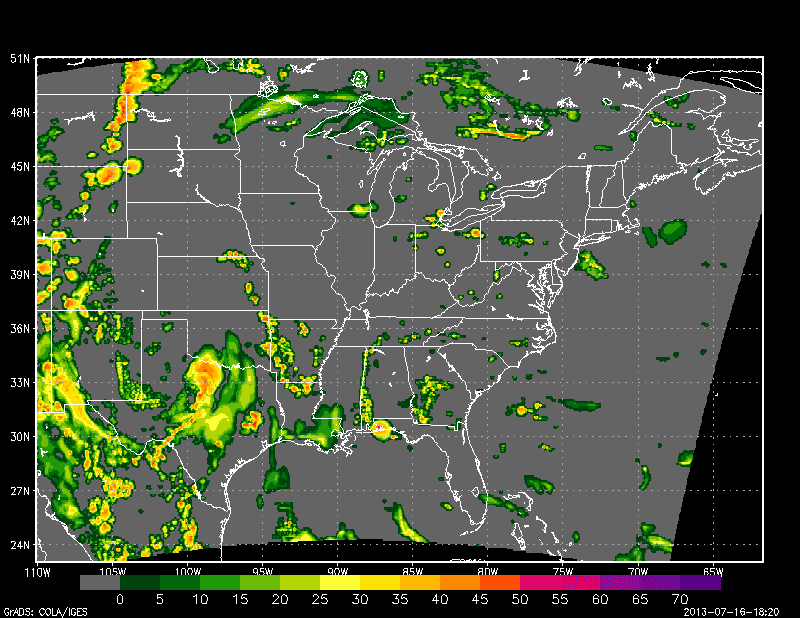 An image below shows an example of the Wunderground RADAR color scale (used to plot WRF data). Example of colorset.gs using the Wunderground RADAR reflectivity color scale. The only required input is the desired colorscale. There are no optional inputs. A call with no specified scale brings up a short help page. This call will plot your data on the colorscale of funktop IR. 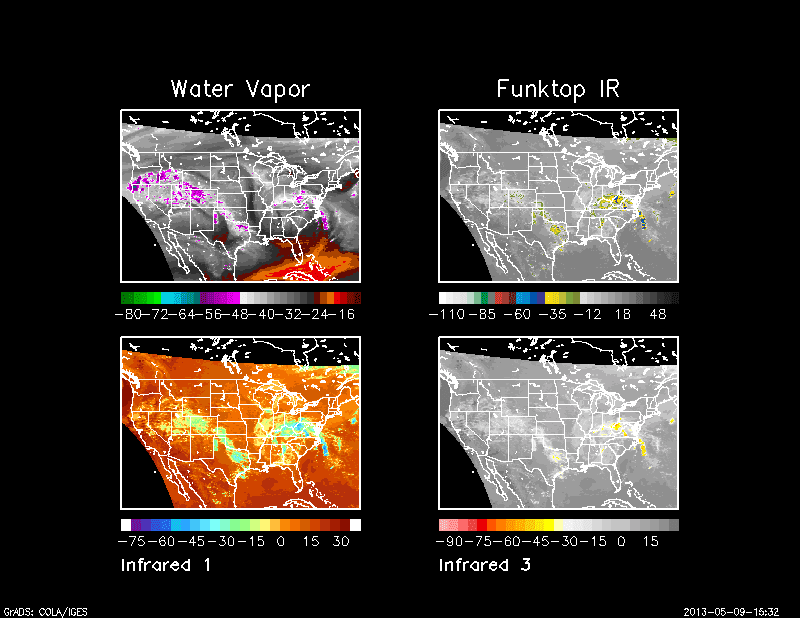 All satellite IR scales are in degrees Celcius, if your data is in Kelvin, please convert it before using colorset.gs. A greater number of colorscales may be included in the next version, so check back soon.